You may find yourself swamped with offers and concerned about making the right decision. We’ll make the process easy for you — when you call, we’ll ensure that we make an air-tight itinerary for you that confirms all of your arrival and departure times. We’ll let you know how much you need to plan for, how much a route typically takes, and how much traffic can affect the process of getting from point to point. Our car service not only gets you to MIA airport, it’s like a personal assistant ensuring every item receives its requisite attention and due diligence. The easiest way to travel to and from Miami International Airport is to call us today at 305-902-4417. We promise: you’ll be happy that you did. We like to pay special attention to the smallest details — it’s how we differentiate ourselves and keep our customers satisfied, every single time. If you look closely, you’ll see what we mean: from the fine stitching on the leather seats, to the quality of the tinted windows, to the maintenance of the engines, to the coolness of the climate controlled interiors, you’ll see our care and devotion to concerns from big to small. It’s why your name is always correct when the driver meets you at the airport arrival gate. It’s why your luggage will always meet you, even if we have to make a second trip due to airline issues. It’s why you’ll always have service with a smile — in a suit and tie, no less. We’ve built a reputation as Miami’s premier airport car service because we’ve shown our customers time and time again that they can trust us to get them where they’re going. There’s no reason for concern — we can ensure that, once you’ve confirmed your car service booking to or from MIA airport, you’ll get the devotion and attention of a committed, friendly service. We want you to get where you’re going on time and in style, but we also want you to think back fondly on your travels with us. Airport travel doesn’t have to be pressurized. Airport travel doesn’t have to be stressful or frantic. It can be breezy and refreshing, like the ocean air off the Miami coastline. We’ll make you love airport travel again — that’s our promise to you. We’ve made a name for ourselves as the best car service in this city because we want you to feel pampered on your trip. 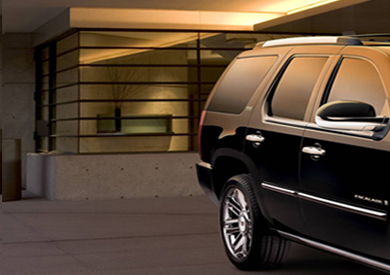 There is no reason to feel concerned or stressed, to wonder if your airport car service actually cares. We follow through with every fine-tuned detail in order to demonstrate our utter dedication and fealty to our customers. We love driving these Miami streets, and we love knowing that our customers will never have to worry about whether or not they’ve made the right decision. If you want a luxurious and sumptuous travel experience, a mode of conveyance suited for only the best, then you know you’ve made the right decision traveling with us. It’s not only easy to relax while you travel, it’s invigorating.